Aim of the initiative: To increase awareness for Tasmania’s Aboriginal Culture, to give students insight into the oldest living culture on Earth. 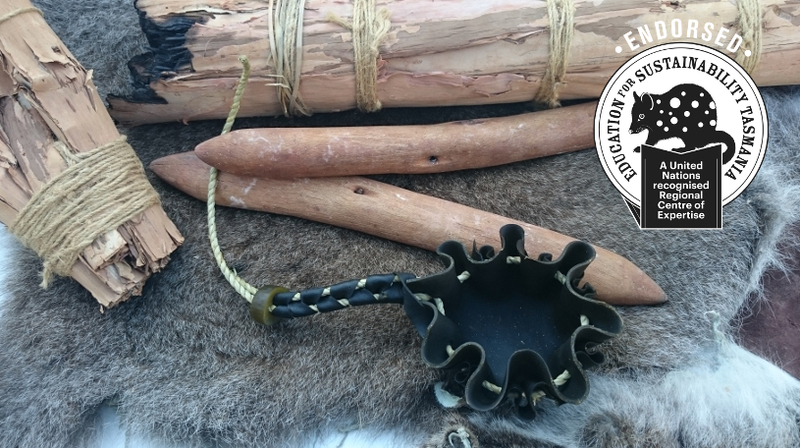 Organisation mission: Nita Education provides Tasmanian Aboriginal cultural experiences to all schools and businesses across Southern Tasmania. Organisations involved: Catholic Education, TAFE Tasmania, Aboriginal Education, Steiner Schools, Independent Schools, Rob Pennicott, Federal Group, Parks and Wildlife, Sustainability Center, Department of Health. Tasmanian Aboriginal People have lived in Tasmania for at least 42,500 years, through at least 2 ice ages and for more than 2000 generations. Our ancestors cared for the land, and in return it cared for us. Our ancestors are the original scientists, doctors, botanists, geologists, chemists, astronomers, navigators, story tellers, bakers and the experts at sustainable living. By creating awareness of how our ancestors cared for Country we are inspiring our students to discover more about sustainability. Schools book us to visit classes, or they arrange excursions on Country which we lead. Our lessons/excursions are linked to the Australian Curriculum and tailor the individual class needs. We cover many unique subjects as well as broad indigenous knowledge. There are very few people in Tasmania able to deliver what we do, we are also in the process of offering cultural traineeships to Aboriginal youth. The very essence of what we do is sustainability, for education, environment, social, economic and most of all, for cultural sustainability. Increased awareness, understanding and empathy for Tasmanian Aboriginal people and heritage will inevitably change behaviours regarding reconciliation, racism and cultural awareness. – Support from high level business such as Federal Group and Rob Pennicott – measured through the ongoing consultative work such as cultural training for tour guides. – Increased bookings with TAFE Tasmania for the Tourism courses – bookings are now coming through for 2019! This is ongoing. For as long Aboriginal culture is a part of the Australian curriculum and for as long as the need for cultural awareness is required.